Pamela Gaudry, of Savannah, told WTOC that she and other passengers learned that the remains of former Staff Sgt. Dustin Wright, a Green Beret, would be on their flight. They decided it would be a good idea to sing the “Star Spangled Banner” while soldiers removed his remains from the cargo hold. Gaudry, who is the wife of a deceased Navy captain, said that a flight attendant put the brakes on their plan, the Atlanta Journal-Constitution reported. “I said, ‘it’s the national anthem’ and she said ‘it is against company policy to do that, and so we are going to land and everybody is going to stay in their seats and be quiet,'” Gaudry said. Gaudry recorded a video upon landing at the airport explaining how she felt about the whole situation, and her video has racked up more than 764,000 views since she posted it October 14. “Hundreds of thousands of people now know that Dustin Wright died for our country and there were a lot of people on the plane that wanted to honor him. Hundreds of thousands of people are praying for this family now that weren’t,” she added. 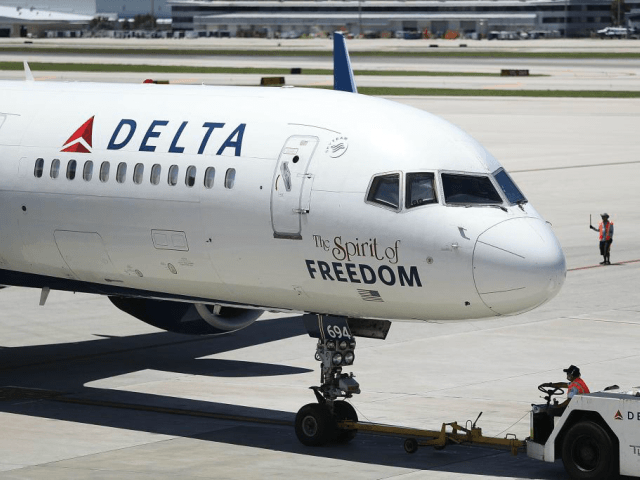 Gaudry wrote in a Facebook post that Delta representatives have reached out to her following the incident and that the flight attendant was not acting in accordance with company policy. Company officials reportedly told her that the company would be training employees in the future in response to the incident.